Each of my turnings is a unique functional piece of art. I find the wood for my pieces by scavenging trees damaged during storms or removed by their owners for various purposes. I recycle these trees to display their beauty in a new way. Each piece of wood has inner secrets hidden deep inside, which I uncover at my lathe. 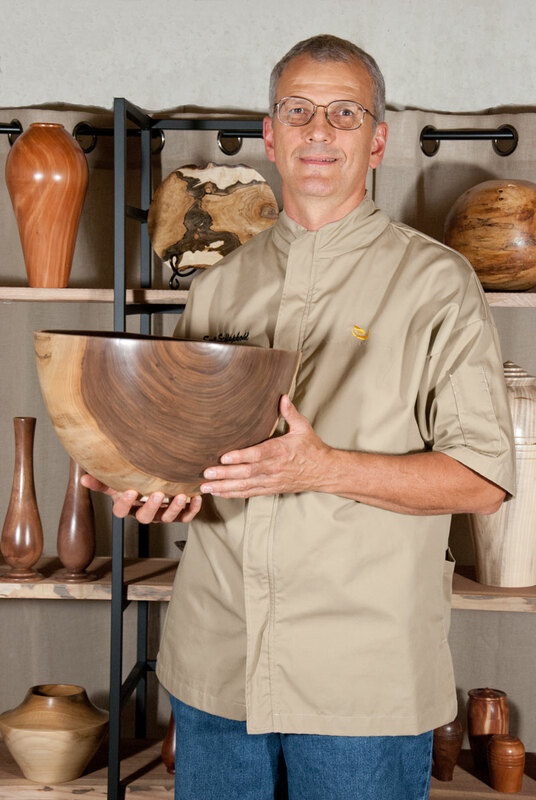 Some pieces of wood are meant to be simple bowls, while others become elegant pieces of art. My pieces highlight the wood’s natural beauty and are as much a joy to hold as they are to see.